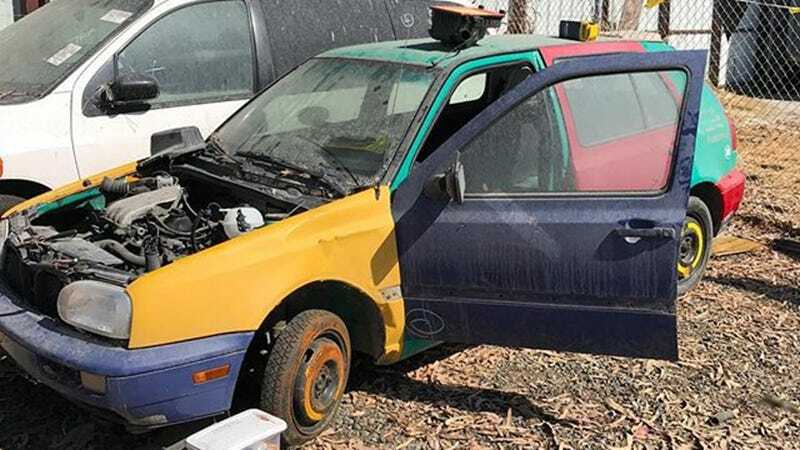 Jamie Orr decided he was going to save this ultra-rare Volkswagen Golf Harlequin from a junkyard. One of the most beloved cars that VW ever made, the Harlequin deserved better. The only problem was that it was 3,000 miles away. Well, that wasn’t the only problem. Jamie runs a business buying and shipping Volkswagen parts from Europe to America. He is used to significant logistics challenges with these little cars. He once bought a VW school bus in Mexico and drove it back home to Pennsylvania. He did the same with a modern VW Beetle and another Harlequin, both of which he had shipped over to Europe for thousands more miles of driving, including a run on the Nürburgring for the other Harlequin. He writes articles for a couple different Volkswagen publications including Volkswagen’s own media. He is the only employee of his parts company Orchid Euro. Certainly this Harlequin presented him with a lot of potential problems. He bought the car while he was still in Pennsylvania. Just about all he knew about the car’s condition was what he could see in a few pictures and that it was broken. “Things that I know need fixing: oil pan has a hole, fuel tank has a hole, coolant and brake fluid gone, battery terminals cut off, no seats, back window smashed, fender smashed, fender bolts gone, unknown motor, unknown gearbox, and who knows what else. There are probably no keys. There are definitely no wheels,” Jamie wrote on Instagram on June 5. For those of you not familiar, the Harlequin is one of the sweetest and strangest cars in automotive history. These cars were almost as a gaffe or a callback to a 1960 VW ad showing a multicolor Beetle built using interchangeable parts. In 1995, VW made a Harlequin Polos by attaching body panels from different color cars on the assembly line into single, multicolor vehicles. VW planned on making a thousand of those Polos, but they were so well received that VW made 3,800 in 1995. In ‘96, VW followed up the Polo with 264 Harlequin Golfs, just as odd as the Polos that came before it. We got the Golfs here in America, the Polos we did not. I have seen a few in the wild; there is not a single person on Earth who does not smile when a Harlequin drives by. As for the car itself, Jamie said he got lucky with the condition of the car, and that it didn’t throw too many surprises at him. Jamie says that the car has 267,000 miles on it. I think that’s not bad. Once he got in front of the car, it all came together one thing after the next. And with the help of a solid dozen people who came out to help, Jamie had the car running. With new wheels the car was able to drive out of the junkyard under its own power. The shock and the joy of it all is palpable, radiating out of my computer screen in waves. The Harlequin even got its original yellow grille back from someone who had scavenged the part off the car while it had been in the junkyard. Now Jamie is driving across the country in the car, making his way back to Pennsylvania. I spoke to him about an hour ago, when the car was buzzing across Utah. Jamie wasn’t too eager to talk about how much this whole project cost him, but it turned out to be much less than at least I expected, and it’s worth knowing for anyone thinking of doing something similar. 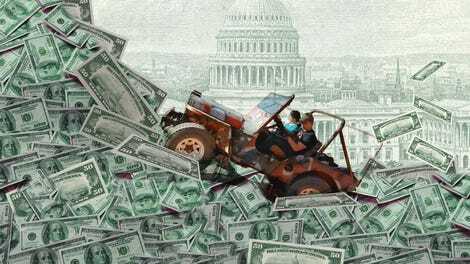 Its was $1,200 for the “quote-unquote car,” as Jamie put it, supposedly the minimum that the junkyard could sell the car to him for. It was $400 for a donor car that Jamie bought back in Pennsylvania for parts he’d need, including a catalytic converter and a downpipe for the exhaust. He knew that the junkyard would take off the car, and he knew they’d cut it at the downpipe, so he came prepared. This didn’t include the cost of new belts for the car, as well as gaskets and that new oil pan. It was just $5 for his flight, which he spent using rewards miles. That got him his first night in a hotel, too. A friend online gave him a ride from the airport so he didn’t need to rent a car. He’s gone through four tanks of gas so far and slept in a cheap travelodge last night. All in, he hopes to keep things between $2,000 and $2,500.